We stayed in Kirishima Kanko Hotel and Kirishima Kokusai Hotel. You can reach it by bus from Kirishima Shrine. They have private family baths and you can enjoy Kirishima hot spring inside it. We enjoyed the hot spring and it was great. In the garden of Kirishima Kanko hotel, there is also a convenient footbath and they serve the towel. The large bath hot spring divided into men and woman. Especially for woman, you can enjoy the conversation with your friends and relax while watching the beautiful scenery of the Kirishima mountain range and the magnificent Sakurajima floating in Kinko Bay. it is a very good place. 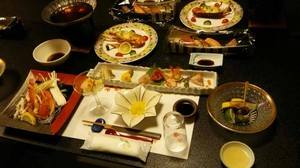 For dinner in these hotels, we requested the dishes from fish and vegetables. It is a Japanese menu, such as Sashimi and nabe (a variety of Japanese hot pot dishes), grilled fish, deep-fried fish, or any kind of fish menu. I've realized that there are a lot of delicious food in Kagoshima. In the morning, we went to the Mahoroba village. This place open everyday, seven days a week, and the admission is free. We had experience to make the ceramics and glass crafts. If there is only small number of people who want to join, then you don't need reservation. In the pottery experience, you can make such as a bowl or vase. 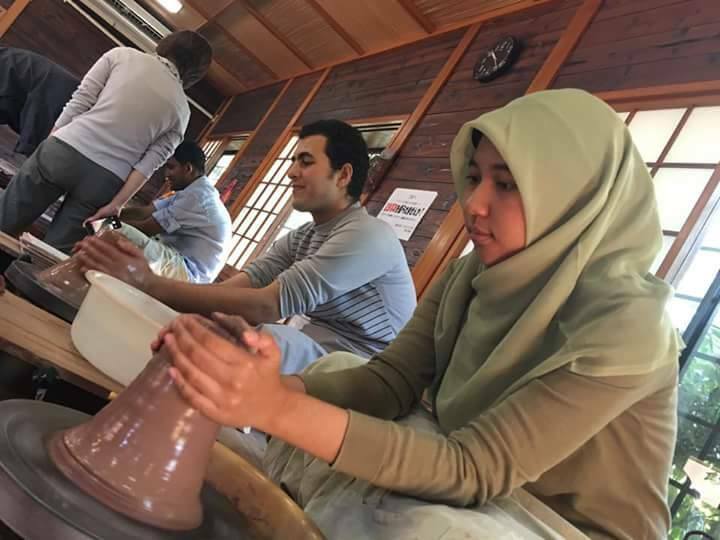 For our moslem friends, it was their first experience to touch the potter's wheel. 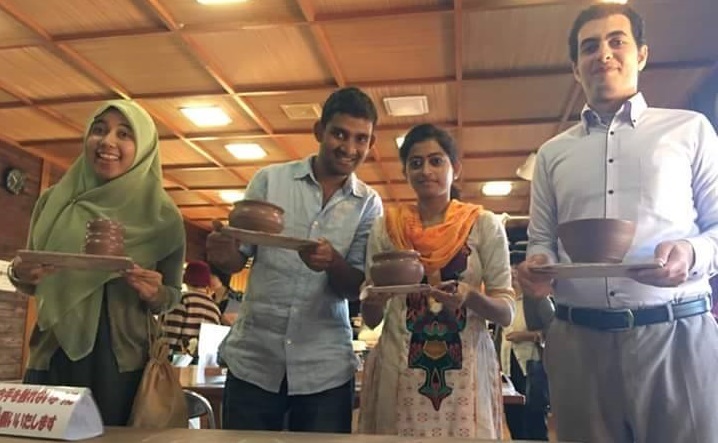 At first it was difficult, but they struggled to make pottery and shaping it into the beautiful form. It just needs a little power and soon you can make it. They were very pleased to show us about their jobs and it was a great. 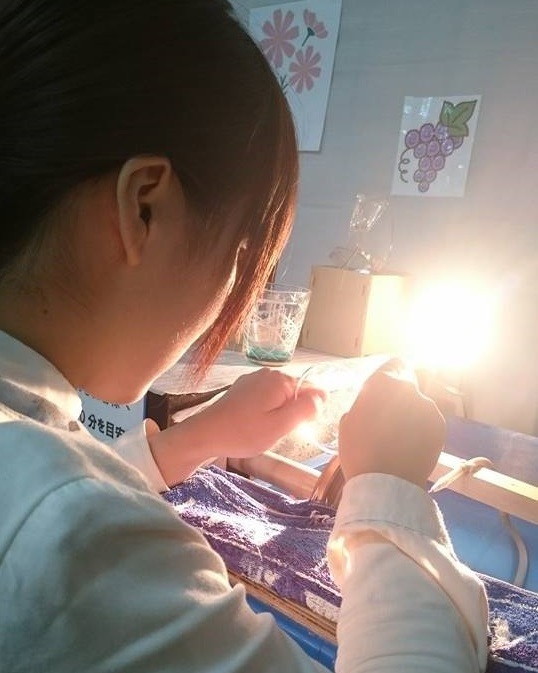 In the glass craft experience, you can make accessories straps and cup. 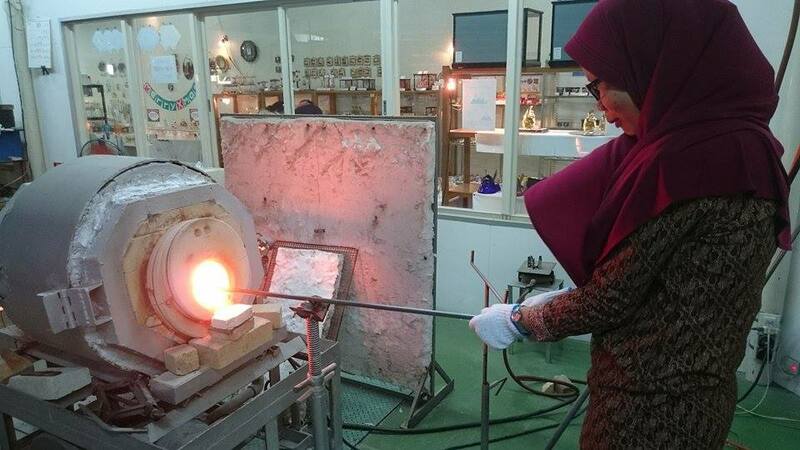 The material is from the heated glass. 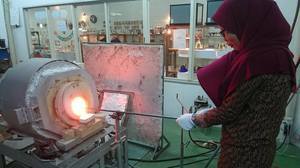 We had experience for shaping a glass perched blow from a long blowpipe. We can decide the color and shape. I was very surprised by the heat when standing in front of the kiln, but it was safe because the staff taught us properly. For smaller ones, such as accessories straps, you can bring back at the same day. But for the cup, it will take about one week. In the souvenir corner, next to the workshop place, you can buy dagashi (traditional Japanese candies from an older time) and purchase a cute glasswork in many patterns such as cat and dog. There are a lot of pattern of cute animals.